The Kid Carpet brings energy to your classroom! Do your students become lethargic after lunch? Do they sit down and start to nod off? 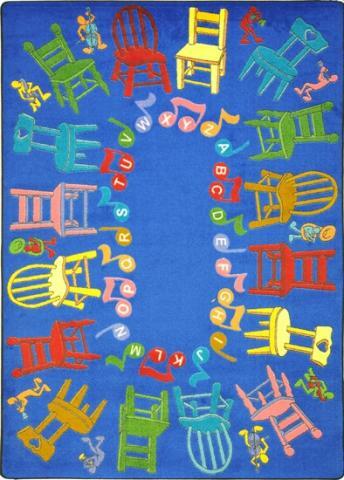 Bring energy to your classroom by ordering the Kid Carpet. Our colorful design exudes energy, while giving you an opportunity to teach your students about colors and music. You can even get your re-energized class to participate in a fun game of musical chairs. 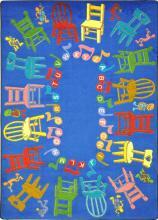 This is an excellent rug to excite your students on a rainy day. The Kid Carpet insulates your students from the extreme heat and cold of classroom floors. This carpet provides the best under floor protection for your students. We designed the carpet with our proprietary SoftFlex®, which is an air-texturized, polypropylene secondary back. The tightly woven carpet fibers eliminate wrinkles and prevent your children from inhaling loose fibers. We treat the Kid Carept with an antimicrobial agent that prevents the growth of harmful mold and mildew. We make carpet that educate, but we place your students' safety above all other considerations.